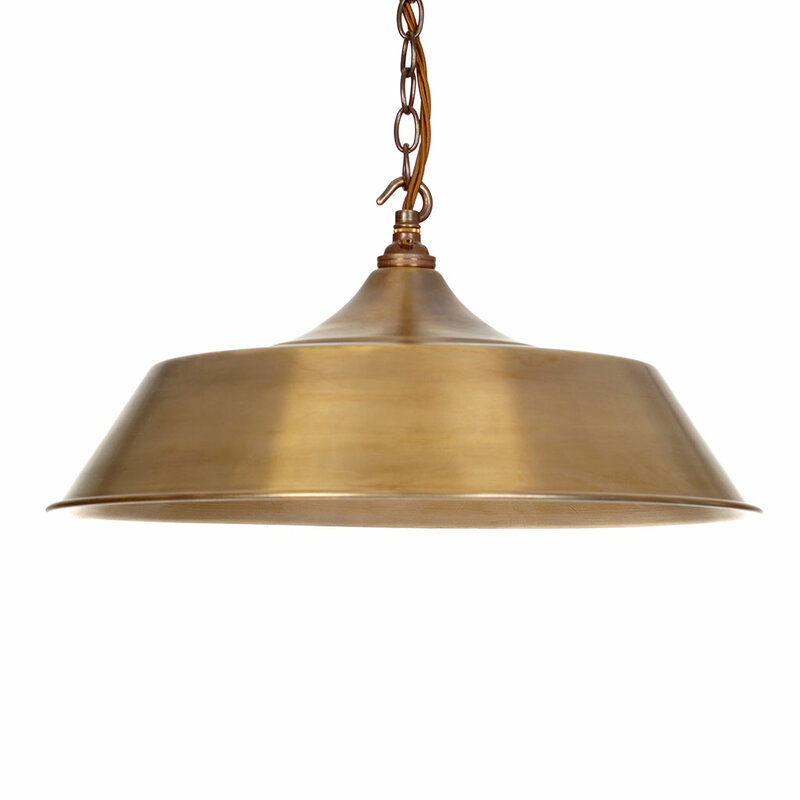 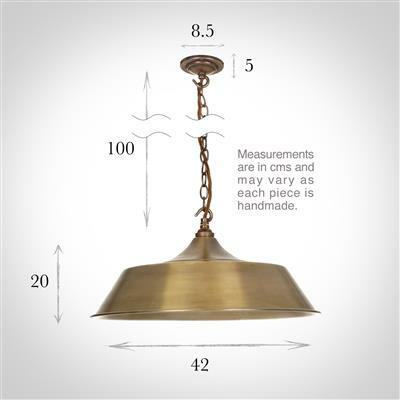 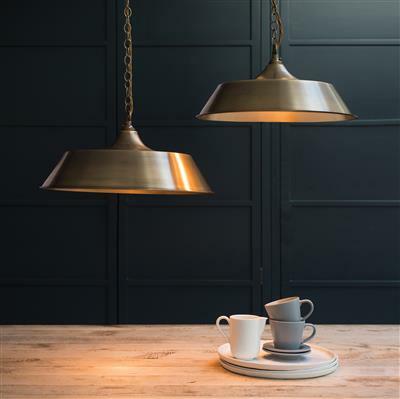 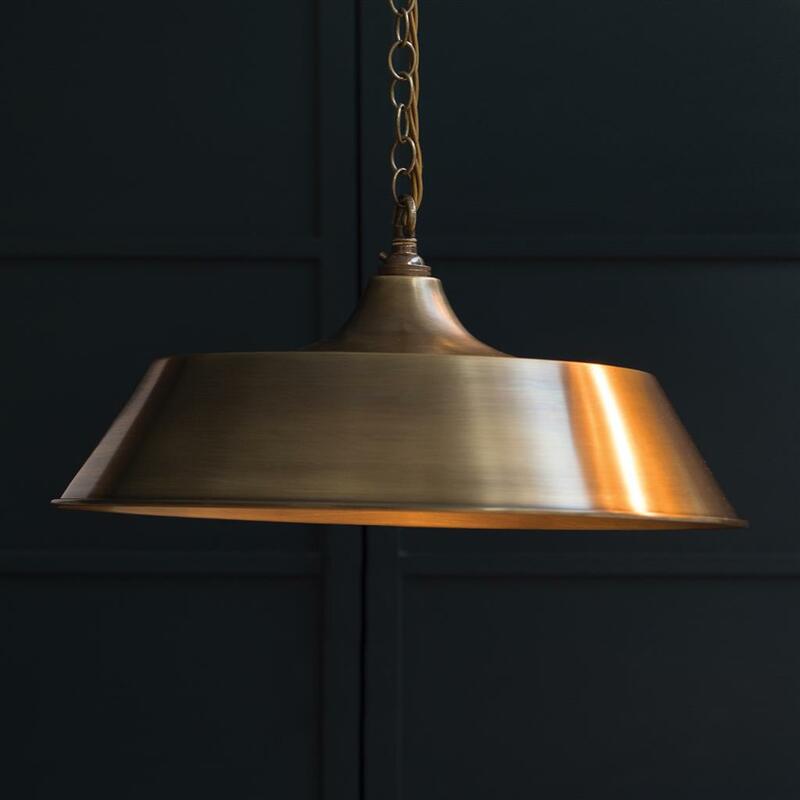 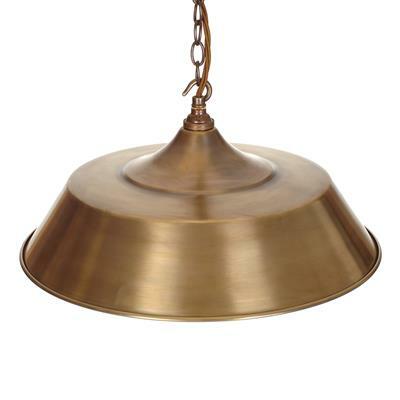 A large attractive metal ceiling pendant light, with a stylish wide shade that would be a great addition to any kitchen or dining room. It would suit any style depending on the finish chosen, from chic retro in a modern room to a classic country look for a period home. 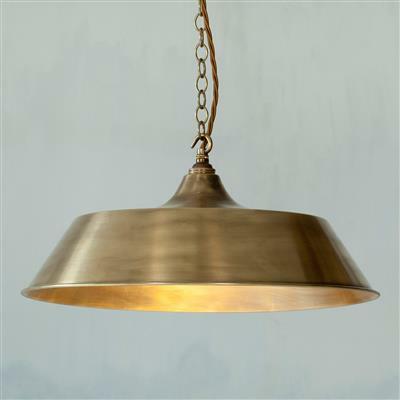 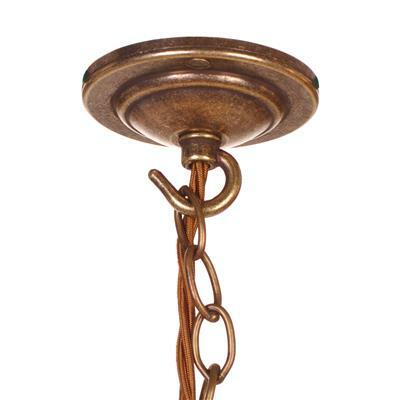 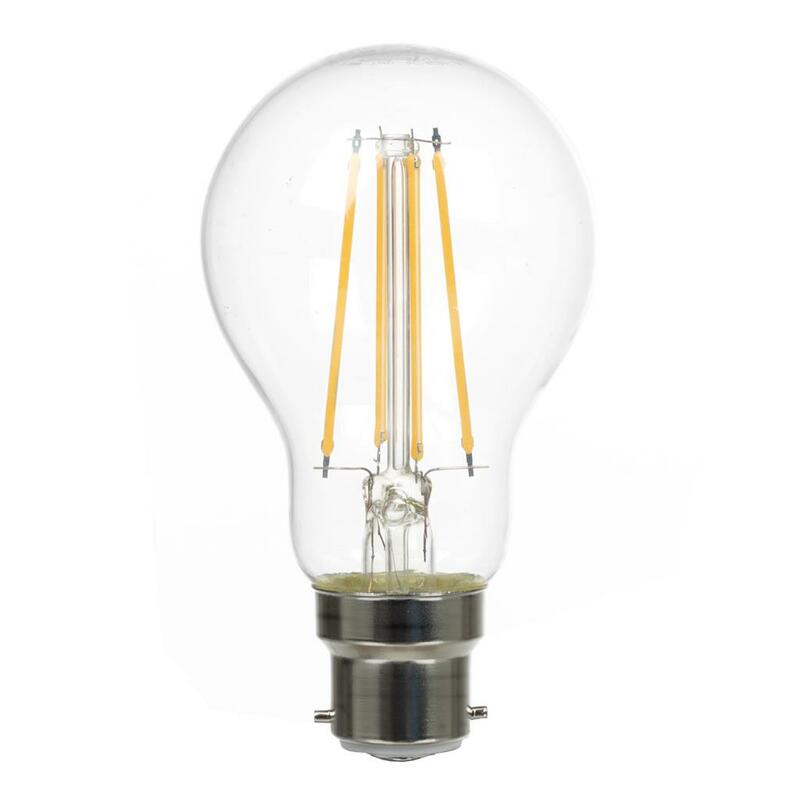 Made from brass with a lightly antiqued finish.